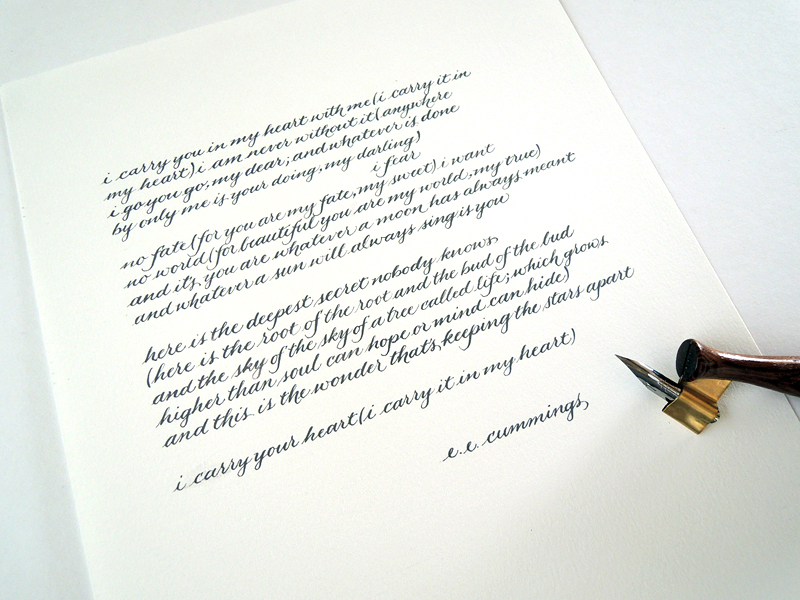 A recent commission for a friend, and one of my favorite projects to date, a wonderful love poem by e.e. cummings. It was written in casual copperplate style, with custom-mixed gouache in charcoal gray (note to self: a little Ivory Black goes a LONG way!) and written on 8″x 10″ French watercolor paper. Written in 1952, the poem is truly timeless and gives me shivers every time I read it. And I had to write it quite a few times for practice before I penned the final copy. Such restrained passion, and so beautifully written. I paid special attention to the line breaks because they are what make the poem so unique and so wonderful. The finished piece will be framed and hung on a gallery wall among family portraits. 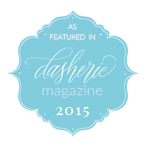 I truly feel honored to have been asked to write such a special piece to be included! This entry was posted in Client Work and tagged commission, e.e.cummings, poem on June 5, 2013 by linda.